Explore Europe with an Interrail pass. Book up to 11 months in advance. 1. When travelling by train there is no check in. 2. Travel direct from city centre to city centre. 3. Enjoy comfort, relaxation and a time to chill out in the train. 4. Authentic travel: Discover landscapes that you might not have seen otherwise. 5. Hop on and off the train if you see a small city that you’d like to discover. 6. Great service: Choose to travel First Class. 7. Convenient: Book your adventure up to 11 months in advance. 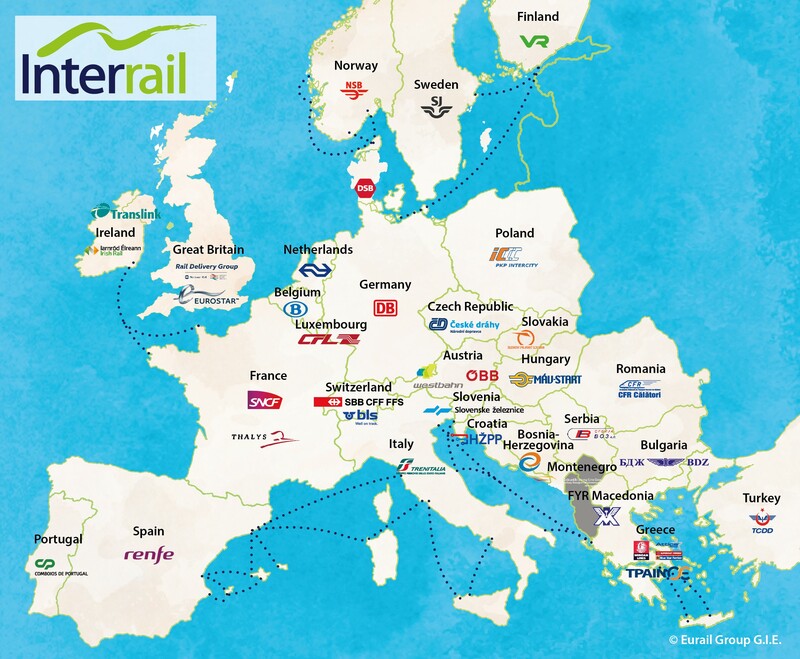 The Interrail global pass allows you to travel in up to 30 European countries. Travel as much as you want within and between these countries, on days where your pass is valid. Get under the skin of one destination with the One Country Pass. Travel as much as you want on days when your pass is valid, with different options to suit you. Whether you are traveling with a global pass or a one Country pass, seat reservation is nessesary on certain trains. Choose between a Global or a One country pass. For a global pass choice of 5 days within 15 days, or 7, 10 or 15 days within one month or a continuous pass of 15 days, 22 days or a month. You can choose to travel on eighter1st or 2nd class.